The Internet in Cuba: VOIP in Cuba -- what is the goal? VOIP in Cuba -- what is the goal? +Alam Brito sent me a link to a story about two Cubans who were caught selling illegal voice over IP (VOIP) telephone calls on the Interent in 2009. They were accused of having cost ETECSA $150,000 in revenue. If that was true, another way to look at is that they saved Cuban citizens $150,000 minus their profit. 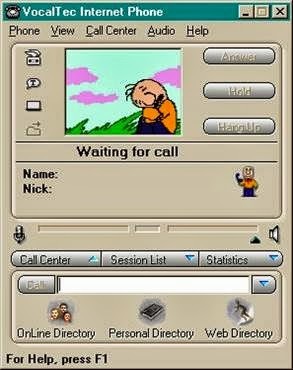 The first VOIP program on the Internet was Vocaltec's 1995 Internet Phone. It was a hobbyist novelty at first, but it was clear that that it offered the possibility of cutting phone bills and therefore telephone company revenue and tax. Recall that in 1995, many nations had state-run monopoly phone companies and they derived significant revenue from them. The reaction of governments in many developing nations was to ban VOIP calls. For example, during a 1998 study of the Internet in India, my colleagues and I observed that VOIP calls were illegal, but the law was not enforced. VOIP shops advertised and operate openly. India realized that VOIP was significant technology for a developing nation with low teledensity and income and a large expatriate population and legalized it a few years later. While many nations have done the same, VOIP remains illegal in Cuba. (I would like to see a list of the nations where VOIP is illegal). However, In 2009, I wrote wrote an article presenting "data indicating that PCR has had little impact on the Internet during the last ten years in developed or developing nations." I have not updated that paper with subsequent data, but our experience in the US shows that private ownership of telecommunication service providers does not guarantee competition, efficiency and good service. I don't pretend to know The Best Way to structure ownership and management of telecommunication infrastructure, but the most successful nations (and cities) seem to be those in which the government provides some wholesale infrastructure and encourages retail service providers to compete. While the optimal telecommunication ownership and control policy may differ from one location to another, the goal of that policy should be clear -- enriching people's lives and improving the economy -- not maximizing government revenue or the income of telecommunication investors and managers. Raúl Castro announced that they are working on a new foreign investment policy, which is of "singular importance to stimulate economic and social development of the country." The law is expected to be approved next March. It remains to be seen whether the new law and perceived demand would attract major telecommunication investors, but even if they could, as we saw above, that may not be in the best interest of the Cuban people.